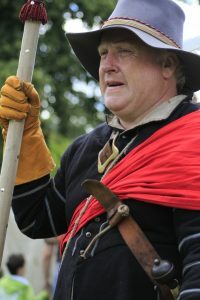 As part of the Sealed Knot Society we help to recreate the battles of the English Civil War 1642-1651. 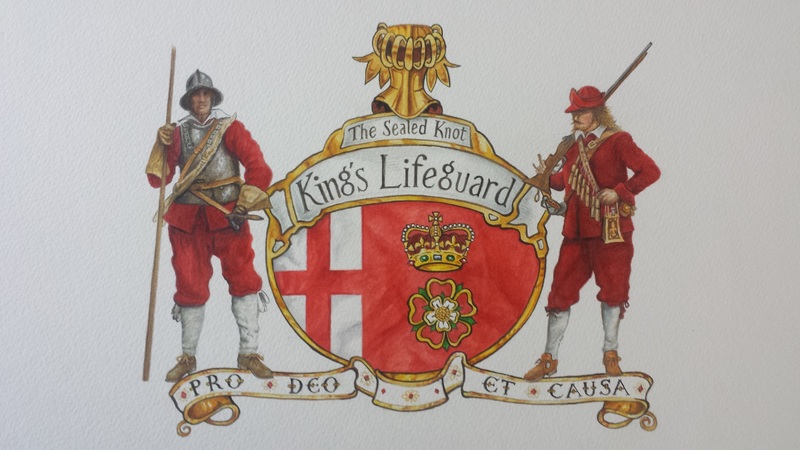 Our Regiment has been built over many years and is a faithful representation of the Lincolnshire men who joined up for the cause of the King in 1642. Assembling in Nottingham in August of that year those initial ranks were swollen by Derbyshire miners and The Guard (as we know it) eventually became part of the King’s Oxford Army. Today we appear all over the country, re-enacting battles and bringing to life a tragic period in our history. If you look around you will find news of our activities and an event section where you can keep up to date with where we are and what we are doing. Feel free to come to any of our ‘musters’ and talk to me or any member of the regiment. 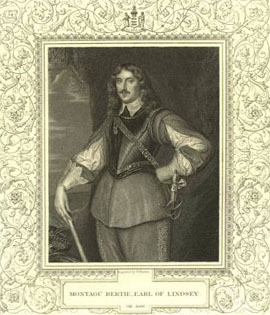 We are very approachable and nice to everyone (apart from the Roundheads). With any luck you could be our next recruit. Our website can give you an insight into what it means to become a member of our society, with detailed descriptions of the types of troops involved and also a breakdown on how you can contact your local company. The regiment currently boasts a membership of around 200, recruited from all over the UK by the 7 companies within our Regiment. Take the tour through our site and don’t hesitate to contact me for any information. The Banners of the Seven Companies that currently make up the King’s Lifeguard.